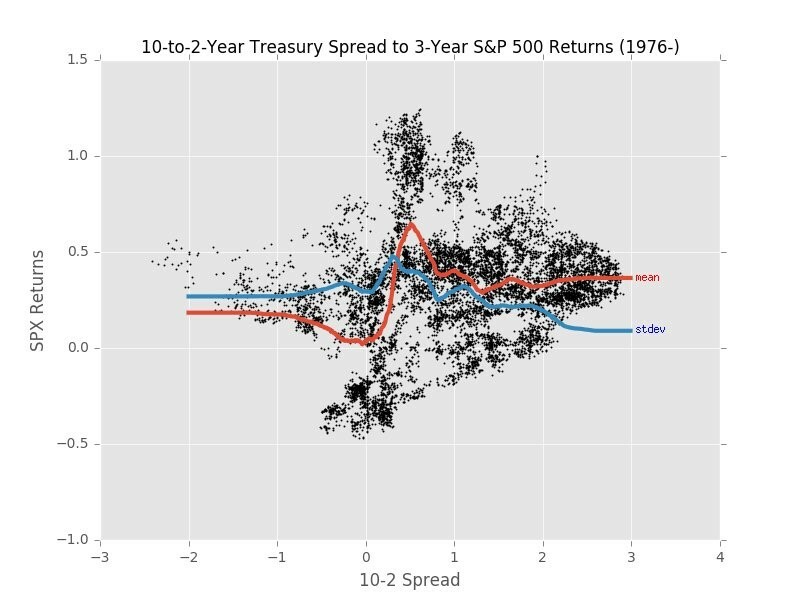 The chart below shows the 10 to 2 year spread in relation to 3 year S&P 500 returns since 1976. There is a spike in volatility right before and after inversions. The steepening after inversions signals a recession, but it might be too late to sell stocks by then. It depends on your investment strategy. Some investors like to sell before peaks and some like to sell after peaks. There is no foolproof way to time the market. The December 19th Fed policy meeting is being focused on mostly because of potential changes to guidance. The hike is almost a certainty. There is a 78.4% chance of a hike according to the futures market. The Fed has been preparing the market for a hike in December through its speeches and Minutes for months. Backing out now, could be viewed as the Fed panicking. 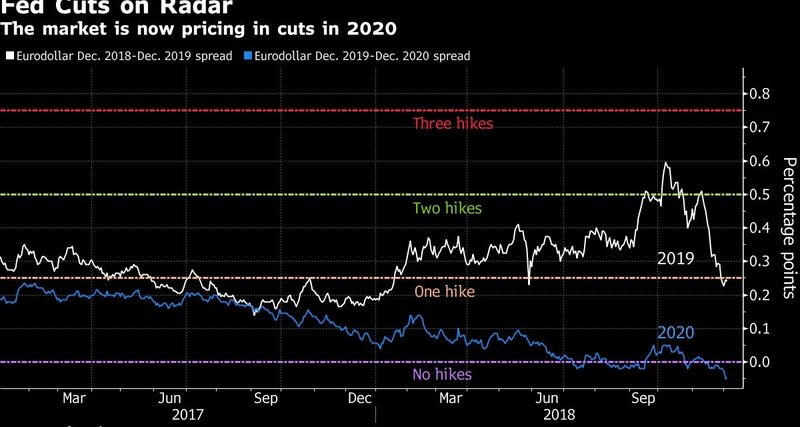 We’ve mentioned in a few articles that the market sees one hike in 2019 and the Fed sees 3. 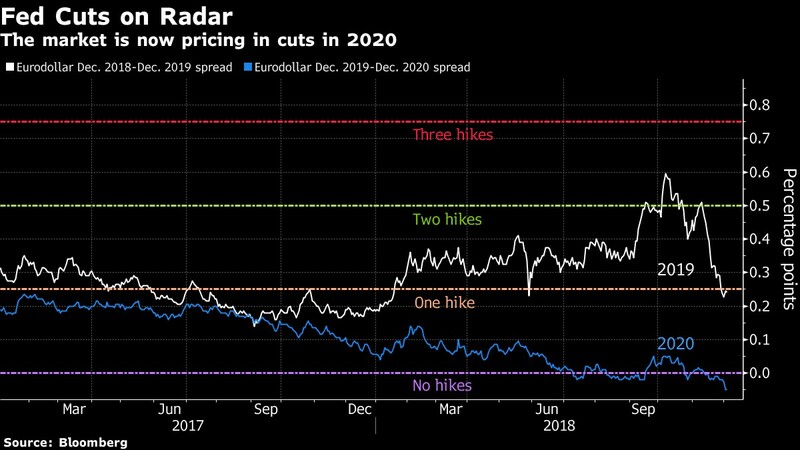 There’s an even more important divergence in 2020 as the Fed sees 1 more hike while the market sees a cut as the chart below shows. If the Fed were to cut rates in 2020, it would further support the thesis for an incoming recession. Cuts don’t cause recessions; they signal the economy is weak enough to need monetary support. Some analysts claim the Fed would never invert the yield curve because it portends a recession. That has been proven wrong in every cycle the curve has inverted since he Fed was created. With the latest decline in core PCE, the Fed could change its position and become dovish to extend the cycle. 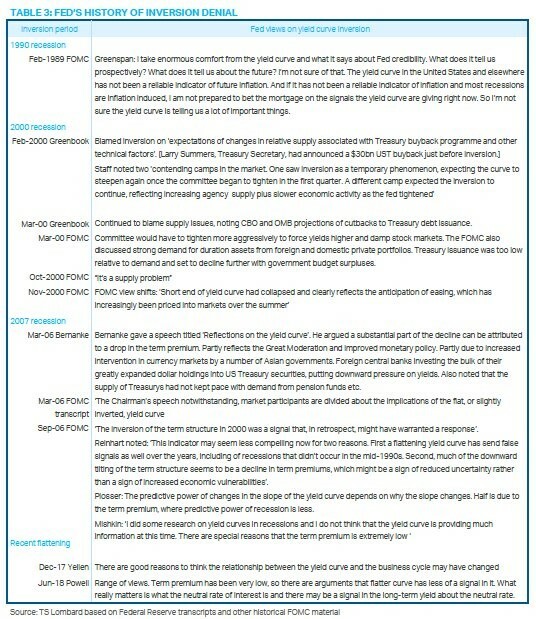 However, the Fed has a long history of ignoring inversions as you can see from the quotes of transcripts below. Toll Brothers is a luxury home builder with a large presence in California. In its latest report, the CEO stated the housing market softened in November. That is in tune with the national results we’ve reviewed. As the chart below shows, there was a 13% decline in new orders in Q4 which was the weakest growth rate since 2010. The consensus was for a 5% increase. The decline was 15% in dollar terms. 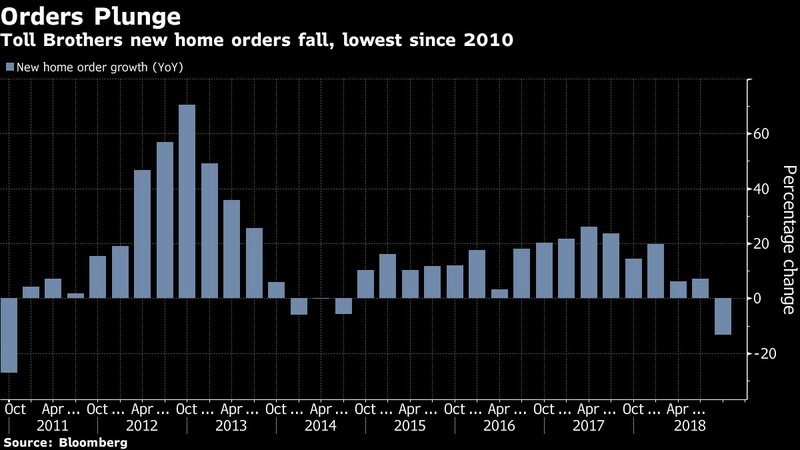 Orders fell 39% in California. In October, construction spending was up 4.9% year over year which is a sharp decline from the 7.2% growth rate in September. The growth rate was helped by private non-residential construction and hurt by private residential construction. Non-residential construction was up 6.4%, with office building construction up 10.3% and commercial subcomponent construction up 0.6%. As the chart below shows, residential construction spending was up 1.8%. Single family spending was up 2.4%, home improvements were up 0.4%, and multi-family spending was up 3.2%. This supports the trend of weakness in the housing market. 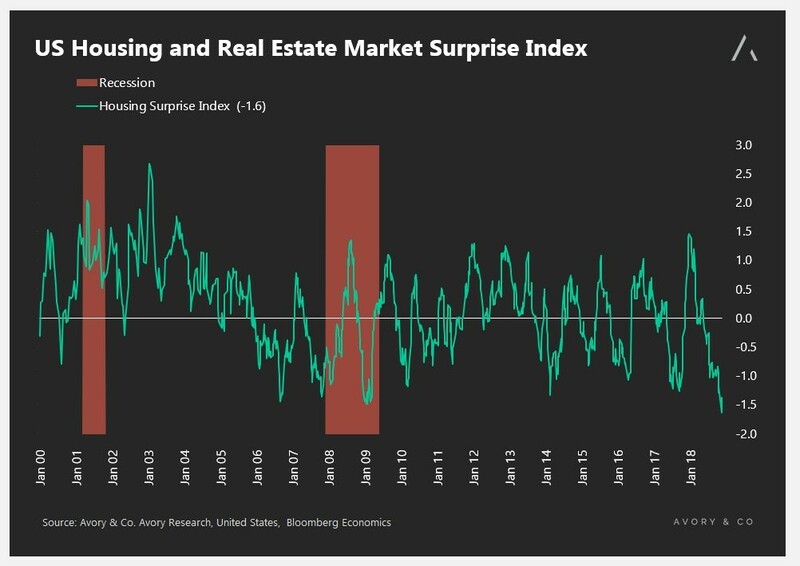 The housing market surprise index is showing its worst reading on record as you can see from the chart below. The weakness is being led by new home sales, NAHB, and pending home sales. Keep in mind, surprise indexes don’t signal overall weakness. They signal weakness relative to expectations. This negative surprise index is disconcerting since it is coming along with overall weakness. To be clear, the housing market isn’t worse than the last cycle just because the index is at a record low. NextDoes Current Yield Curve Inversion Signal Crash For Stocks?